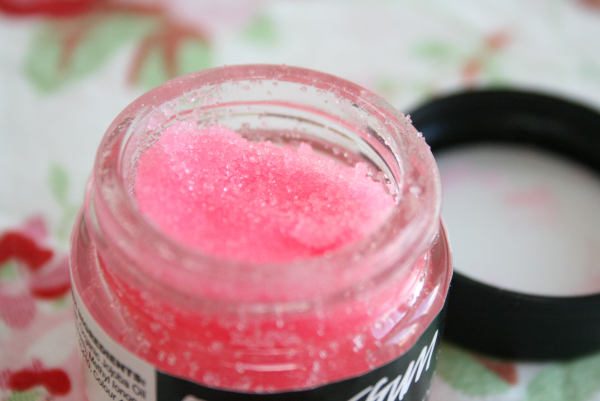 Lush lip scrubs are the perfect addition to any skincare routine. I often forget about lips even though mine suffer from being dry a lot of the time. I usually apply a lick of lip balm and I'm done with it. Although lip balm stops your lips from drying out for a few hours, it doesn't remove any of the dead skin. I picked this up on a whim as I've never used a lip scrub before and my lips really needed some TLC. I was mainly attracted to this one because it's bubblegum flavoured, YUM. But if that isn't your taste, they also do popcorn and mint julips, I want to try them all! The scrub clears all the dead skin from your lips, allowing them to look nice and healthy. The product is non greasy, and just leaves your lips feeling smooth. After I've finished scrubbing my lips, I apply a layer of lip balm just to cool my lips from all the scrubbing. I'm really pleased with this product, and it's definitely one I'll keep repurchasing as it makes such a huge difference to my lips, and how my lipstick looks on. The taste is really nice too, which is great because there's nothing worse than putting something rancid on your mouth. I do want to try the other two favours too though! It's also a really quick and easy product to use, I just keep it on my bedside table for whenever my lips feel dry. The price may be a bit expensive to some people, as the product is only 25g, but it will last as you only need a small amount for each use. 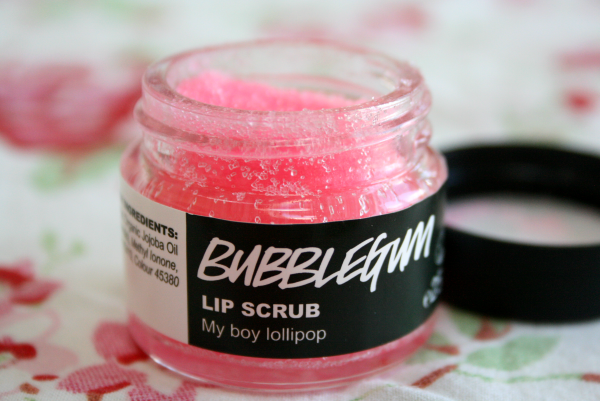 What do you think of lip scrubs, do you have a favourite? 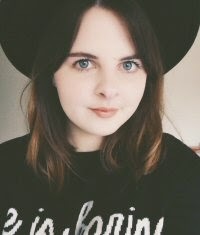 I think I've only really heard of the Lush ones so let me know if there's any others I should be trying! I've wnated to try the popcorn one for a while and this has definitely moved my decision along a bit, the colour look so pretty aswell heeh! I have such dry lips. Going to buy this this weekend!